Wrongful Death: What is the Legal Definition? | Branch & Dhillon P.C.Branch & Dhillon, P.C. When people use the term ‘wrongful death,’ they may be using it in a way that doesn’t meet the legal definition. That’s common and understandable, but it can also cause problems when it comes to being aware of any issues that are faced in a legal context. 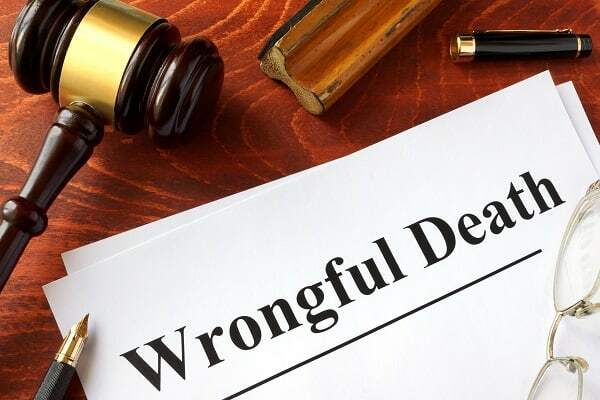 In short, wrongful death means making a claim against someone, alleging that person can be held responsible for the death of another person or other people. This is a civil, not criminal, action, and is generally brought about by people who are closely related to the person who has died. In general, it is immediate family members who will sue someone for a wrongful death, but there are also other people who can make a claim. These include people who were financially dependent on that person, life partners, more distant family members, and anyone who suffers a financial loss because of the death of the individual. In some states, it’s also possible for parents of a fetus who has died to sue someone if there was negligence or another type of problem involved that caused that fetus’ death. Not everyone can be sued for wrongful death, as there are some entities that are immune from that type of civil litigation. Generally, governmental entities and their employees cannot be sued except in certain, special circumstances. Railroad collisions and medical device issues can sometimes mean immunity for companies, and even for the family members of the people who work for those entities. That is important to consider when there is thought of bringing a lawsuit, since not every company, person, or organization can be sued civilly for a wrongful death action. When someone decides to bring suit for wrongful death, one of the most important things they can do is make sure they have a strong legal representative on their side. With the proper legal assistance, it’s possible to make sure you have the highest chance of being successful in your lawsuit. There are no guarantees, but by working with the right attorney you may be more likely to understand the legal definition of wrongful death and how it can or cannot be applied to your particular situation and circumstances.